Amazon has revealed further investment in kids’ content via eight new deals with leading distributors of children’s programming. 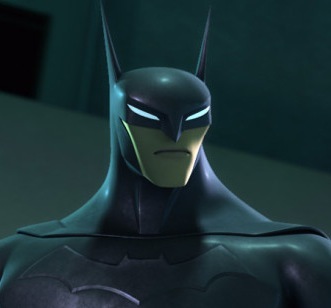 The deals will see Amazon launching and retaining thousands of episodes of series aimed at a younger audience on the Prime Instant Video movie and TV streaming service, and follows the success of Beware the Batman – the first series aimed at a younger audience to air exclusively on Prime Instant Video in the UK in May. Made possible through deals with leading distributors Aardman, Hasbro Studios, DHX Media, Entertainment One (eOne), Millimages, Nelvana, Darrall Macqueen and Saban Brands, the investment sees Amazon Prime Instant Video continue to grow its range of content for kids of all ages, and ensures members have more choice than ever before – bolstering its unlimited streaming library of over 15,000 popular movies and TV episodes. As part of its ongoing commitment to provide premium quality kids’ entertainment to Prime Instant Video members, the new deals bring episodes of hugely popular pre-school programmes including 64 Zoo Lane, which won’t be available to stream anywhere else, Peppa Pig, Yo Gabba Gabba and In The Night Garden to the service, alongside family favourites The Adventures of Paddington Bear, My Little Pony: Friendship is Magic and Rolie Polie Olie, amongst others. Other content launching as part of the deals includes wildly popular series aimed at older children, such as the Classic Digimon Seasons, Beyblade and Dennis the Menace, with other classic animated shows such as Mona the Vampire, Donkey Kong Country and Sonic The Hedgehog also arriving, next to action-packed series such as Mighty Morphin Power Rangers and Big Bad Beetleborgs – meaning that there are series to suit every members moods.